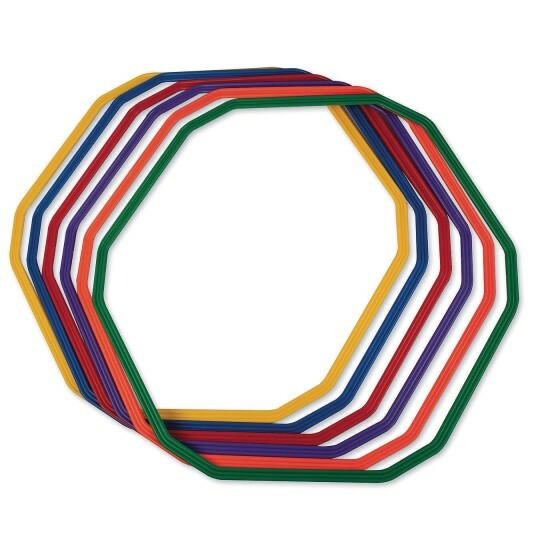 Virtually unbreakable polypropylene plastic rings make awesome agility rings, or great beanbag and toss targets. 32" size is the maximum measurement across sides. Twelve-sided shape provides more internal area than typical round agility rings.